In parallel to this pure form of marathon racing, a more exciting and spectacular tradition has evolved. This involves racing over marathon distances on rivers where there are obstacles such as weirs and rapids to be negotiated. Such events combine the physical demands of marathon racing with the white water skills of other racing disciplines. The Irish environment and climate lends itself superbly to the requirements of these two aspects of marathon racing. We have many miles of inland waterways with numerous rivers providing an array of challenging rough water races. The annual Liffey Descent is perhaps the most famous long distance rough water race in the world. Demand to compete in this race is such that a limit of 1,200 competitors was imposed in 1995 for safety reasons. The Irish marathon racing scene is well organised with the season running from March until October and incorporating approximately 25 events run throughout the country – 12 of which are ranking races where points are awarded towards National Championships titles. 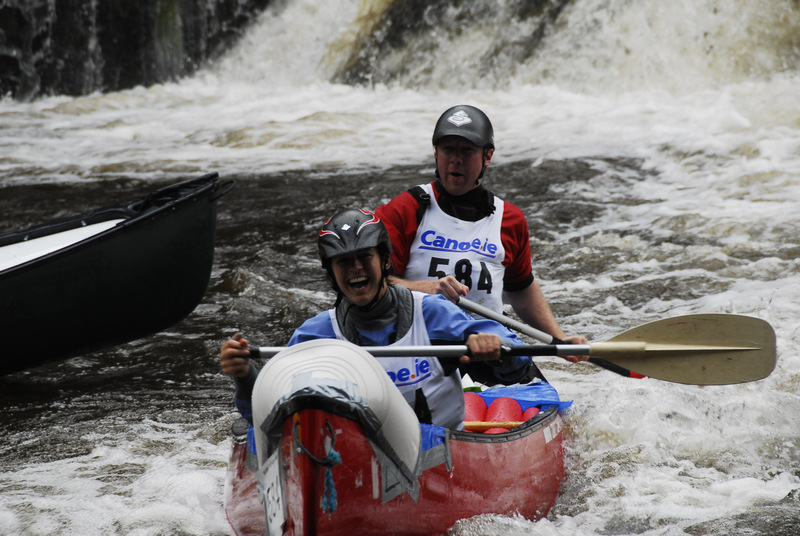 Any type of canoe or kayak can be used for marathon racing. The type of canoe or kayak used depends on the level of experience of the paddler. 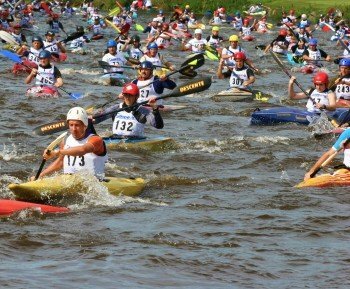 For International Canoe Federation competitions, K1s, K2s, C1s and C2s are the only type of boat allowed. These boats are very long and extremely narrow and are quite unstable when stationary. This design makes them very fast in a straight line. They are made of composite materials (fibre-glass, Kevlar and carbon).